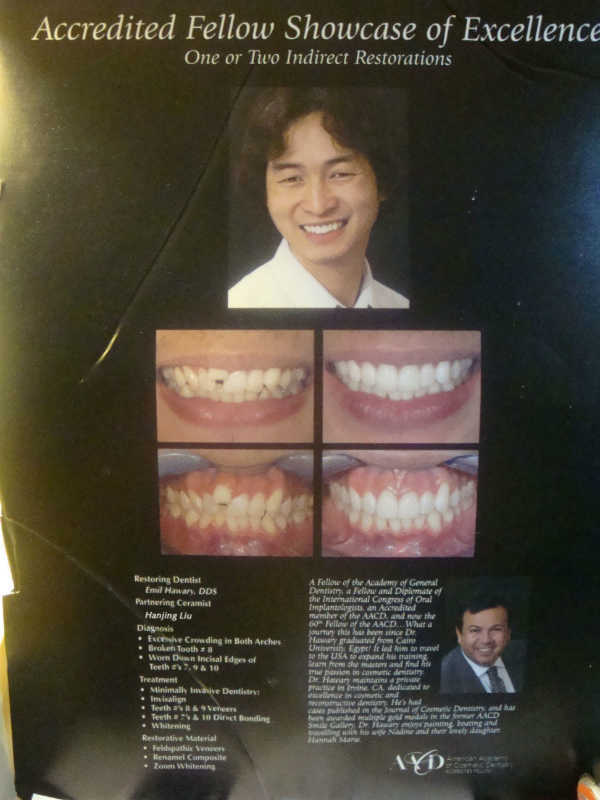 I finally got a hold of the poster my dentist used to display his acceptance as an American Academy of Cosmetic Dentistry (AACD) Fellow. I was the partnering dental lab technician. Since the poster was a little beat-up I took a quick snapshot for posterity. If you're a dentist, prosthodontist, or periodontist... and want to team up with an experienced dental lab technician for your advanced cases, reach out to me.